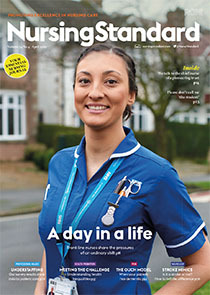 In 2014, an innovative, three-tiered foundation preceptorship programme for newly qualified nurses was developed in Oxford University Hospitals NHS Foundation Trust. The programme was to be mandatory for newly qualified nurses commencing Band 5 posts in the trust, and has a structured curriculum that integrates skills development, preceptorship and clinical supervision. Aim To evaluate the Oxford University Hospitals NHS Foundation Trust foundation preceptorship programme for newly qualified nurses commencing Band 5 posts in the trust. Method Data were collected through questionnaires and focus groups with newly qualified nurses and nurse managers in the trust. Findings Respondents indicated the foundation preceptorship programme had positive value and improved the experience of newly qualified nurses during their first year of clinical practice. Newly qualified nurses wished to regularly reflect with experienced nurses and obtain feedback on their practice from clinical experts to develop their clinical skills. A professionally-regulated agreed percentage of preceptor-preceptee supervision time may enhance preceptorship standards. Conclusion The foundation preceptorship programme had several benefits for newly qualified nurses and nurse managers, and their feedback on the programme was positive. The development and evaluation of the foundation preceptorship programme may inform the future education and training of newly qualified nurses during their first year in clinical practice.